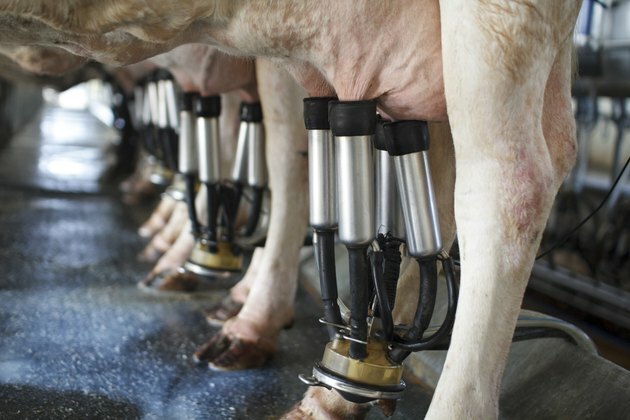 In the early years of the 20th century, as dairy and other food industries became larger and more concentrated, it became standard practice in America to pasteurize milk. Along with widespread vaccination, this simple policy prevented countless thousands of deaths from dangerous bacteria in milk and other dairy products. A century later, the upsurge of interest in natural foods has led to a modest revival of raw milk. However, it should still be treated with extreme caution. Raw milk is less a beverage than a complete ecosystem. It contains a wide range of bacteria, most of them benign, as well as live white blood cells and a host of enzymes going about their various orders of business. Cheese makers delight in this festival of organic activity, and some health enthusiasts argue -- with little scientific support -- that it contributes to human health as well. However, raw milk is also a near-perfect environment for incubating dangerous bacteria. Before pasteurization, milk carried tuberculosis, diphtheria and typhoid; and it remains a risk for salmonella, E. coli, listeriosis and campylobacter infections. Milk is easily contaminated, and the need for scrupulously clean dairying was understood long before bacteria were discovered. In his reference work "On Food and Cooking," food science writer Harold McGee cites books from the 1820s advising housewives to boil milk before using it, as a protection against illness. Although boiling milk will destroy any potentially hazardous bacteria, it also gives milk a "cooked" flavor and creates a risk of scorching it. Home pasteurization is quite straightforward, and can be done at much lower temperatures. Home pasteurization requires a heavy-bottomed pot large enough to heat the milk, an accurate thermometer, a sterilized spoon or spatula to stir with and sterilized jars or other containers to hold the pasteurized milk. Heat the milk gently over moderate heat, using a heat diffuser ring if necessary. Stir constantly, to prevent sticking and scorching. Bring the milk up to a temperature of 145 F and keep it there for exactly 30 minutes by the clock. If the temperature of the milk drops below 145 F, you'll need to start your 30 minutes over again. Refrigerate your milk in the sterilized jars. Most commercial pasteurization uses a different method, using a higher temperature to kill bacteria more quickly. The dairy pumps its milk through a continuous heating unit, which brings its temperature up to 162 F for no less than 15 seconds. The higher temperature creates a slight flavor, but this is now familiar and unnoticed by milk drinkers. Theoretically this method could be used at home, but it's almost impossible to guarantee that all of the milk reached its food safe temperature. In practice, the low temperature method is the more practical option for consumers with access to fresh, raw milk.